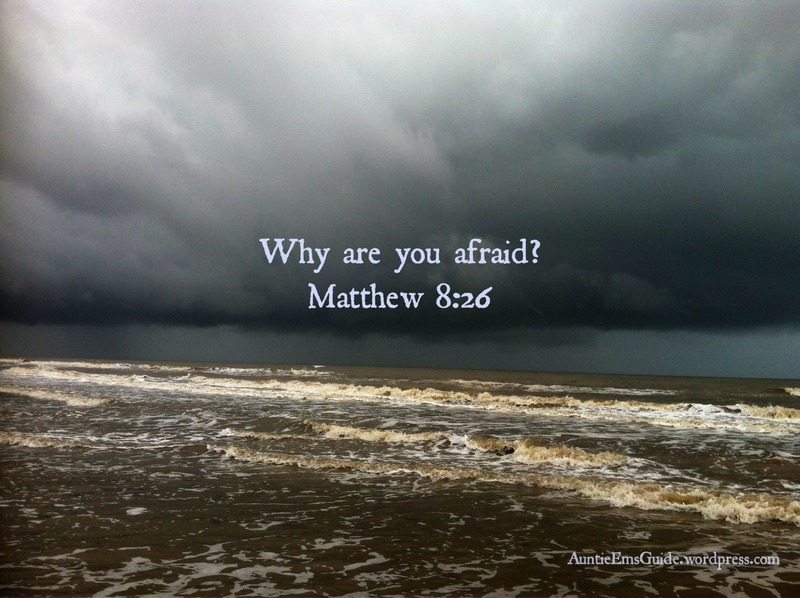 Scripture: Mathew 8:26 He replied, “You of little faith, why are you so afraid?” Then he got up and rebuked the winds and the waves, and it was completely calm. Observation: My faith must be weak because a day doesn’t go by that I DON’T worry about something. I live most of my life in fear, yet I don’t know what I’m afraid of. God has worked miracles in my life and yet even after experiencing these miracles I still doubt. Application: My fear comes from a lack of faith. I need to trust my Lord with all my heart. God put this on my heart a few years ago. Proverbs 3:5, 6 and yet I still have a hard time trusting. I need to give my whole life to Christ, it’s his anyway. Every time I worry or over plan I need to stop and know Christ is with me. Prayer: Dear Lord increase my faith for you are trustworthy and true. I dedicate this life to you, guide me this day to glorify you. Take this fear from me and fill me with your love.